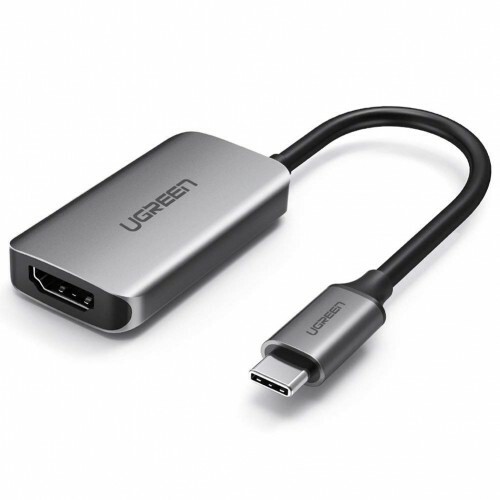 UGREEN USB-C to HDMI Adapter is designed for the connection between your type C PC or smartphones such as iMac 2017, Macbook or Samsung S8 to an existing HDTV, display monitor or projector with HDMI port. 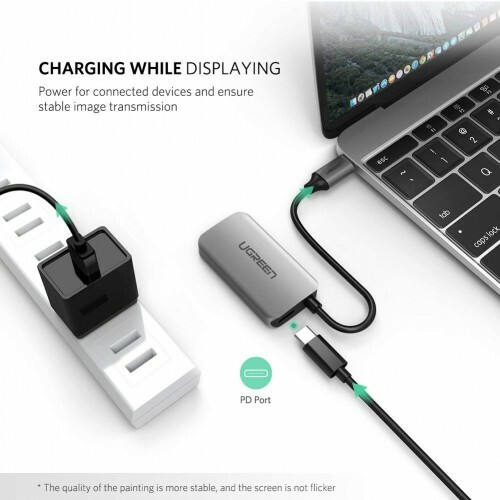 This thunderbolt 3 compatible USB C HDMI adapter is widely used for conference, business meeting, presentation, multimedia teaching etc, help you to attract your audience deeply, enjoy time with friends and family immersed in a clearer large screen. 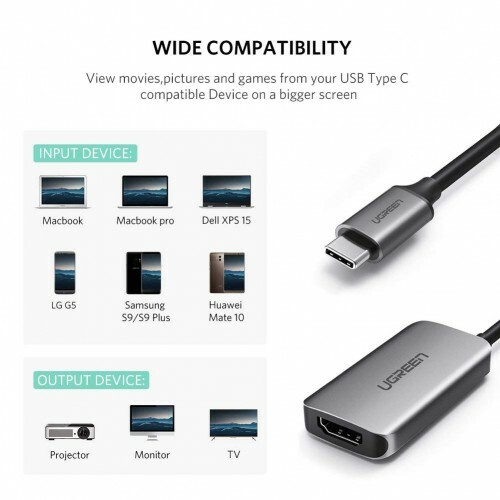 Plug in the Type C HDMI adapter to get 4K (3840 x 2160) Resolution and 60Hz video capability, which provide you better viewing experience. 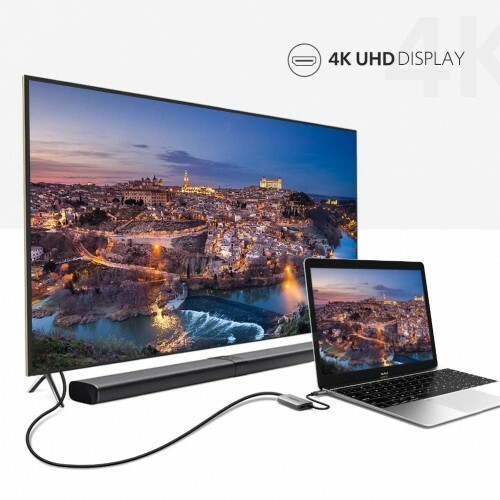 In addition, the HDMI USB C adapter supports transferring audio and video simultaneously, no need for another audio cable. Apple iMac 2017 21.5"/ 27", MacBook 2017 12", MacBook Pro 2017 13", MacBook Pro 2017 13" / 15"(Touch ID & Multi Touch Bar), Macbook 2016 12" / 13" / 15"
Important Note: This USB C converter only works for devices with the USB C port which supports video out (DP Alt Mode) functions.